Limbrel May Be Linked To Life-Threatening Side Effects. According to the United States Food and Drug Administration, the drug Limbrel may be linked to life-threatening complications. The effects of the drug are so serious that the FDA has recommended that anyone taking Limbrel should stop immediately. According to Limbrel’s labeling, the drug was to be prescribed to patients with osteoarthritis. Specifically, Limbrel was marketed as a drug that would help with managing metabolic processes associated with this condition. Limbrel comes in two dosages: 250 mg and 500mg. Each of the pills contains two different flavonoids: Baicalin and Catechin. Baicalin is derived from Scutellaria Baicalensis, and Catechin comes from Acacia Catechu. 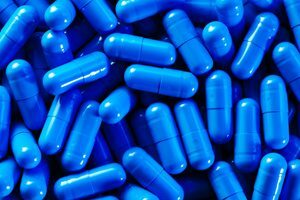 The capsules also list zinc as an ingredient. As of November 2017, the FDA has received approximately 194 reports of adverse events in those who were taking Limbrel. The FDA further determined that Limbrel was associated with the adverse events in 30 of these cases. Among the most serious complications that may occur in those who take Limbrel are hypersensitivity pneumonitis and liver damage. Liver injuries thought to be induced by Limbrel have been reported by some users. The signs of drug-related liver damage may include nausea, gastrointestinal issues, jaundice, and fatigue. Hypersensitivity pneumonitis is the inflammation of the lung alveoli. Symptoms include headache, chronic bronchitis, breathing problems, fever, fatigue, chills, and weight loss. The FDA is currently reviewing Limbrel, including its manufacturing methods and its formula. Both medical professionals and consumers have been advised that anyone taking Limbrel should immediately stop. Any complications or negative symptoms should be reported to a physician. Further, the FDA has asked that users and healthcare professionals report adverse events using its MedWatch program. November 8, 2017 – The U.S. Food and Drug Administration (FDA) send their first notice to Primus Pharmaceuticals regarding Limbrel’s formula and potentially harmful side effects. The FDA requested and received samples from Primus Pharmaceuticals to conduct testing. November 21, 2017 – The U.S. Food and Drug Administration (FDA) issues an initial public advisory concerning Primus Pharmaceuticals’ Limbrel250 and Limbrel500 medical food products. November 30, 2017 – The U.S. Food and Drug Administration (FDA) reiterated their previous warnings of serious side effects with continued use of Limbrel and requested that Primus Pharmaceuticals voluntarily recall their Limbrel medical food products. Primus Pharmaceuticals declined to recall and remove their Limbrel product from the market. December 4, 2017 – The U.S. Food and Drug Administration (FDA) announces that they have received 200 adverse event reports concerning ‘Limbrel’. According to the FDA, 30 of the 200 reports had “sufficient information for FDA medical experts to determine whether Limbrel was likely associated with these adverse events.” The FDA stated that they are continuing to receive adverse event reports and that the FDA is continuing to evaluate the safety of ‘Limbrel’. December 19, 2017 – The U.S. Food and Drug Administration (FDA) put out a consumer alert warning of potentially “life-threatening health problems” linked to the prescription medication ‘Limbrel’. Limbrel was marketed to the public as a “medical food” sold to patients with osteoarthritis for nutritional management. The FDA requests that consumers and healthcare professionals contact the FDA regarding any adverse effects by visiting the FDA’s MedWatch Adverse Event Reporting program and completing the online form or by visiting www.fda.gov/medwatch/report.htm, downloading the form, completing the form, and then sending the form via fax to 1-800-FDA-0178. Manufacturers, including pharmaceutical companies, have a duty to ensure the products they make are safe for consumers. If it is determined that a product is not safe and harms consumers, the manufacturers (as well as a number of other entities and individuals) may be liable for damages. In a civil tort case, damages are awarded to compensate the claimant for the harm he or she has suffered. Damages are sums of money that a defendant may be ordered to pay to the plaintiff. Medical expenses, such as emergency room bills, ambulance bills, prescription costs, surgical bills, and similar expenses. The cost of future medical care that may be necessary, such as future surgeries or an extended period of physical therapy. Lost wages, if the injured claimant had to take time off from work, or had to reduce his or her work capacity and earned a lower income. Pain and suffering, which compensates a victim for the discomfort he has suffered as a result of the incident. Emotional distress, which compensates a claimant for psychological harm he may have suffered as a result of the incident, such as anxiety and depression. Loss of consortium, which actually compensates loved ones for the harm the injury has caused their relationship with the claimant. The cost of adding wheelchair ramps and other similar alterations to a residence. Depending on the unique details of your injury case, there could be several types of damages that you may be able to recover as a claimant. If you have been injured by ‘Limbrel’, you should seek the guidance of one of our experienced attorneys as soon as possible. Need Legal Help Regarding Limbrel?